Ability: Every turn, the card summons a Giant Pumpkin in an adjacent square. The Giant Pumpkins act as ‘Walls’, blocking the lane, and ‘Distract’ which causes them to raise the Cooldown of an unplayed card in your enemies hand by 1, each turn. 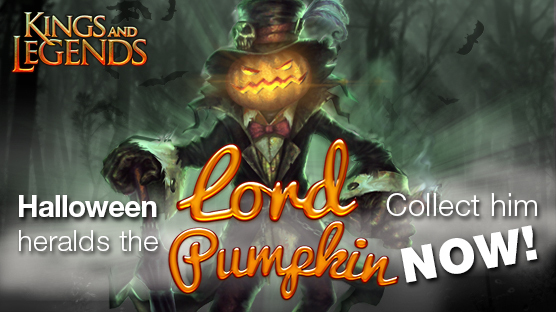 Lord Pumpkin can summon a max. of 3 Giant Pumpkins (at any given time) which provides a great Anti-Rush component as it blocks the lanes AND delays your opponent from playing their cards.